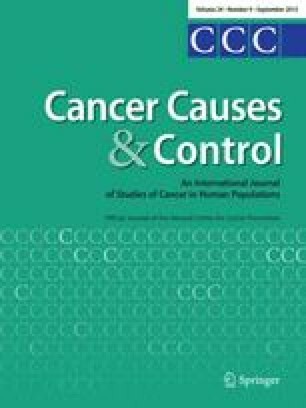 Objective: To summarize the geographical and temporal variations in incidence of pleural mesothelioma in Europe, using the extensive data available from European general cancer registries, and consider these in light of recent trends in asbestos extraction, use and import in European countries. Material and methods: The data were extracted from the European Cancer Incidence and Mortality database (EUROCIM). The inclusion criteria was acceptance in Volume VII of Cancer Incidence in Five Continents. Truncated age-standardized rates per 100,000 for the ages 40–74 were used to summarise recent geographical variations. Standardized rate ratios and 95% confidence intervals for the periods 1986–1990 and 1991–1995 were compared to assess geographical variations in risk. To investigate changes in the magnitude of most recent trends, regression models fitted to the latest available 10-year period (1988–1997) were compared with trends in the previous decade. Fitted rates in younger (40–64) and older adults (65–74) in the most recent period were also compared. Results: There was a great deal of geographical variation in the risk of mesothelioma, annual rates ranging from around 8 per 100,000 in Scotland, England and The Netherlands, to lower than 1 per 100,000 in Spain (0.96), Estonia (0.85), Poland (0.85) and Yugoslavia, Vojvodina (0.56) among men. The rank of the rates for women was similar to that observed for men, although rates were considerably lower. Between 1978 and 1987, rates in men significantly increased in all countries (excepting Denmark). In the following 10 years, there was a deceleration in trend, and a significant increase was detectable only in England and France. In addition, the magnitude of recent trends in younger men was generally lower than those estimated for older men, in both national and regional cancer registry settings. Conclusions: While mesothelioma incidence rates are still rising in Europe, a deceleration has started in some countries. A decrease may begin in the next few years in certain European populations considering the deceleration of observed trends in mesothelioma and asbestos exposure, as well as the recent ban on its use.